Last December, when the UN Environment Assembly met for the third time, it gathered under the slogan “Towards a Pollution-free Planet”. Those were strong words, yet the outcomes fell short of what’s needed to actually get there. and impacts of many hazardous substances throughout their life-cycle. 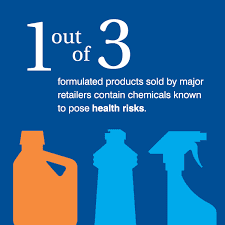 That’s why we barely know how many people are seriously injured or even die because they are exposed to chemicals. The full economic costs are likewise in the shadows; only for a few substances do we have a rough idea how much it costs humanity that we don’t manage them responsibly. We are well aware of the profits, though. 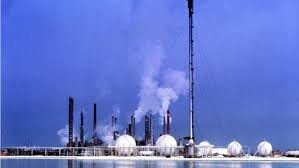 The chemical industry makes annual turnovers of more than 5 trillion US$ each year, and some people still claim that pollution is the unavoidable price of economic progress. Yet the price tag on human health and the environment makes sound chemicals management one of the biggest development challenges we are facing in the 21st century. Despite this urgency, the issue receives relatively little attention by policy-makers and the public. The scant attention does not mean that policy-makers were inactive: At the United Nations, there are four legally binding treaties dealing with chemicals and waste; apart from the Basel, Rotterdam, and Stockholm Conventions, the most recent addition to this cluster is the Minamata Convention on mercury. Next to these, a global voluntary framework exists, the Strategic Approach to International Chemicals Management, or SAICM for short. SAICM is a multi-stakeholder platform and supposed to bring actors from different sectors together, launches programs on emerging policy issues and other issues of concern, and tries to tackle issues which are not dealt with by the binding agreements. SAICM was established in 2006 with the goal that, “by 2020, chemicals are used and produced in ways that lead to the minimization of significant adverse effects on human health and the environment.” With just two years to go, it is obvious that this goal will not be reached. 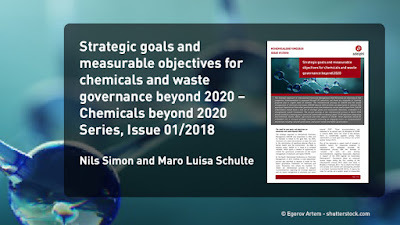 SAICM is in urgent need of a renewed mandate, and this opens a window of opportunity to enhance the governance architecture for the sound management of chemicals and waste (SMCW). When I wrote above that policy-makers weren’t inactive, that’s only one side of the story. The other side is that chemicals and waste governance lacks teeth and resources. That’s why the draft report of an ongoing independent evaluation of SAICM finds significant weaknesses, despite a number of things the Strategic Approach and its stakeholders did get done. The necessity to think about a future framework was already seen in 2015 when the fourth International Conference on Chemicals Management (ICCM4) decided “to initiate an intersessional process to prepare recommendations regarding the Strategic Approach and the sound management of chemicals and waste beyond 2020” in Resolution IV/4. The mandate of the intersessional process thus covers not only SAICM but the broader institutional architecture. However, the process has no authority over the binding conventions as these are governed by their respective COPs. Carving out a new framework will thus focus on SAICM and its successor platform, while keeping in mind the linkages with the binding agreements and the work done by the UN System, including the WHO, FAO, ILO, and others. The first meeting of the intersessional process took place in February 2017 in Brasilia, and the second meeting starts on Tuesday in Stockholm. On the agenda are five core elements that have to be finalized by 2020 the latest to establish the future framework. A three-day meeting is terribly short for walking through such complex matters, yet maybe the (for UN standards) innovative schedule allows for surprises: While Tuesday and Thursday will see the standard plenary discussions, on Wednesday there will be five smaller discussion groups, each of which will deal with five main topics. What are these topics? I am glad you asked. Let’s briefly walk these through, see what’s on the agenda, and let me share some thoughts about what should get done to achieve meaningful progress. Maximizing the benefits might be controversial, yet it serves an important purpose: It makes clear that chemicals management is not only about avoiding harm, as environmental and health policies are generally not only about repairing damages, but that we use chemicals to achieve some purpose and realize some gains in the first place, and these advantages should be used for the betterment of everyone. Another part of the debate may reverberate about the need for a slogan or a catchphrase, something that can be put on posters and brochures, makes a good hashtag and is easy to understand. In biodiversity, people are trying “Living in Harmony with Nature”. It remains to be seen what delegates come up with during the Stockholm meeting. This should be a relatively uncontroversial issue, as all delegates will agree to retain existing principles agreed in Rio in 1992 and later, especially those stated and reiterated in the 2030 Agenda for Sustainable Development. A few additional principles might be thrown into the debate, including green and sustainable chemistry, an issue for which UN Environment collected a list of best practices yet which IPEN and the Pesticide Action Network have some questions about. The current goal-based system of SAICM is found in the Overarching Policy Strategy (OPS) and consists of 46 objectives, listed in five areas. That’s a considerable number and a sign that SAICM lacks focus. On top of that, the four legally binding agreements have their own systems; the Strategic Framework of the Basel Convention, for example, has three strategic goals and 11 accompanying objectives. Another drawback is that measuring progress under SAICM is hampered by an indicator system that misses its purpose, which is assessing whether the world is on road to achieving the 2020 goal. Last but not least, governments, especially from developing countries, are often not reporting on SAICM implementation at the national level, which shows that the reporting system and the support structure through the UN system need to be improved. 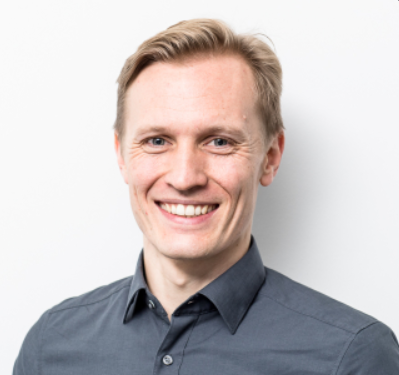 The SAICM Secretariat has commissioned a paper containing a “proposal on objectives in support of the 2030 Agenda and related milestones.” It is a good start, but stakeholders will have to put much more thought into what kind of goal system and reporting and review mechanism they actually want. We have just published a paper outlining design options, and a system of maybe 15-20 objectives, modelled after the Aichi Targets in biodiversity, seems to be the most promising avenue from which to develop a new approach. With all the issues mentioned above on the agenda, and the dire need to significantly enhance efforts on chemicals and waste management, implementation arrangements are critical if the beyond 2020 framework is supposed to make a difference. Unfortunately, means of implementation were already contentious at the first meeting of the intersessional process, and if delegates are not careful they could easily become a reason for talks to get complicated or even stall during the Stockholm meeting. I would not expect that level of escalation next week, but at the same time I would not expect major progress on many of the other issues unless financing is moving forward to some extent. Developing countries and NGOs will be expecting an increase in funds through existing channels at least, or even the promise to establish a new funding mechanism that can foster implementation on emerging policy issues and issues of concern. Donor countries will most likely refer to the existing Special Programme on institutional strengthening, which also provides funds for SAICM-related efforts, and point towards industry, urging the private sector to step in. The chemical industry will say that it is already organizing a series of workshops for capacity development, and will promise to probably do some more, and then three days are over and we’re back to square one. More fruitful discussions can be expected from ideas about a national action or implementation plan mechanism (NAP/NIP). A lot of countries already have such plans in place, many of them funded through the now decommissioned Quick Start Programme (QSP), and the question will be how to link these with a new set of goals and objectives, and how to make progress measurable and transparent. Again the biodiversity sector offers an interesting model that delegates will turn to for orientation, as they did back in January during a UNITAR workshop in Berlin. The key here will be to translate the biodiversity model into one suitable for chemicals and waste, and to take care that existing national plans should not become useless beyond 2020 but can be amended to be in line with the beyond 2020 goals and objectives. One thing is certain: The platform continuing or replacing SAICM beyond 2020 will be voluntary. The interesting part, though, is how to turn such a “soft” voluntary instrument into more “hard” action and results on the ground. One strategy could focus on the setting of standards. 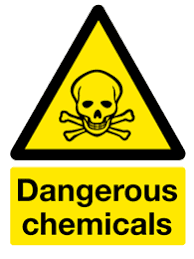 The Globally Harmonized System (GHS), which provides a standard for classification and labelling of chemicals, is one example; but it has been hampered both by lack of funds for national implementation, and by a lack of harmonized rules for such implementation. Another avenue is to take existing standards within a sector and make them a de-facto global standard. Probably the best candidate for this approach would be the textile sector, where the industry, forced through pressure from Greenpeace and others, established the Zero Discharge of Hazardous Chemicals (ZDHC) initiative. Taking the ZDHC’s Manufacturing Restricted Substances List (MRSL) and turn it, through a multi-stakeholder effort, into a global standard for the textile sector would be a huge step. Other aspects of governance relate to decision-making and multi-stakeholder involvement. The International Conference on Chemicals Management has taken place every three to five years. The Basel, Rotterdam and Stockholm Convention are gathering every two years, which does not fit well together. It would be good in terms of visibility, commitment, and bureaucratic workload if the BRS COPs meet in odd years, and the ICCM meets in even years. That way, there would be one major conference on chemicals and waste per year. One further element discussed under governance is the science-policy interface. The secretariat provided an overview over existing mechanisms (to which I contributed, for full disclosure). A full standalone panel modelled after IPCC or IPBES is almost out of the question, for funding reasons alone. Yet there are other models imaginable. The UNEP Global Chemicals Outlook (GCO) could become the cornerstone of a future interface: While the GCO could become the main mechanism for summarizing national reports and assessing global progress, UN Environment and the SAICM Secretariat could in parallel launch an in-depth assessment of the costs of inaction on chemicals and wastes. This would provide much-needed data to make the economic case for eliminating chemical pollution, and it would not duplicate the work already done under the BRS Conventions in their respective review committees.